A few years ago I started to become interested in the gut microbiota. You see, our bodies are covered with bacteria, viruses, and fungi inside and out. All of these species together make up the gut microbiota. For a long time people said that the number of bacteria cells on the human body outnumbered the human cells ten to one. That has since been disproved, but these microbes play a key role in keeping the human body healthy. 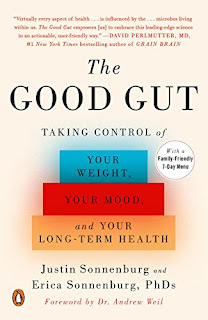 The Good Gut: Taking Control of Your Weight, Your Mood, and Your Long-Term Health by Justin and Erica Sonnenburg is a fantastic book to read if you would like to learn more about the gut microbiome and it's effect on your health. This husband and wife team have a lab in the Department of Microbiology and Immunology at Stanford University in California. In their lab they explore interactions between the microbes that live in our gut and the host (us!). In The Good Gut, the Sonnenburg's go through the current science we have available on the gut microbiota. This is a relatively new field and constantly expanding, so the most recent advances are not covered, but they've got the basic science down. They explain that the gut microbiota plays an incredibly important role in our overall health, both physical and mental. The microbes in our gut affect our immune system, metabolism, and the nervous system. Basically, if our gut microbes are out of whack, it's much more likely that we will not feel our best. They go on to explain that the makeup of our microbiome starts at birth and continues on throughout the rest of our lives. Our microbiota is very individual and changes from person to person, based on their life experiences and the foods they eat. It is thought this may play a role in why some areas of the world have a higher predisposition to some diseases compared to others. Kale by Dwight Sipler via Flickr. License. In this book probiotics are also addressed. These probiotic bacteria are thought of as transient microbes, because they do not take up permanent residence in our guts. They are likely catalysts to encourage growth of beneficial bacteria when they have been overrun by too many harmful microbes, due to poor diet, medications, or even antibiotics. Finally, they offer suggestions of the best way to feed your gut microbes; fiber. 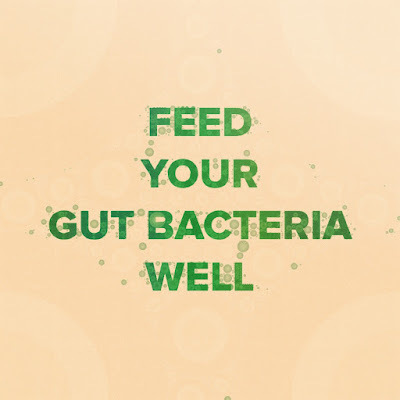 Beneficial gut microbes love fiber, and they do not like sugar or processed foods. 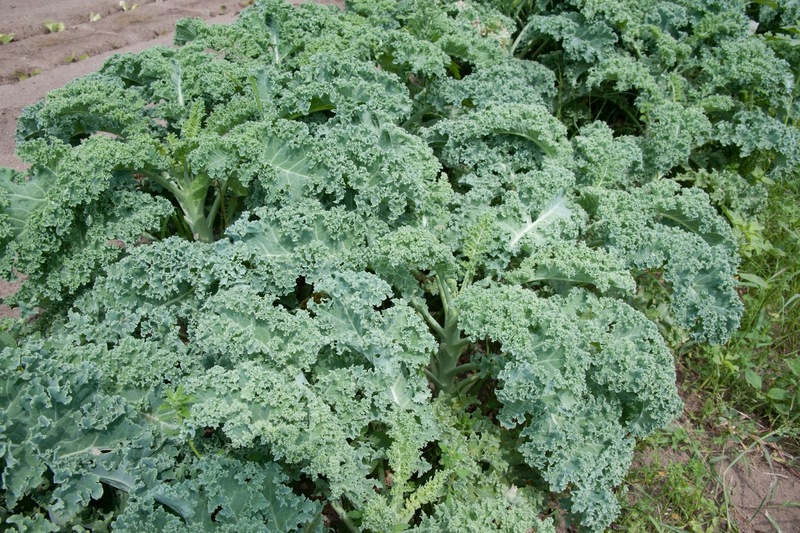 Harmful microbes overtake the beneficial microbes when we eat too much sugar and processed food and not enough fiber. So the best thing we can do is fill our bodies with good fiber from vegetables, whole grains, and fruits. Kid friendly recipes are included in the book, along with suggestions for encouraging kids and picky eaters to try out new gut friendly foods. 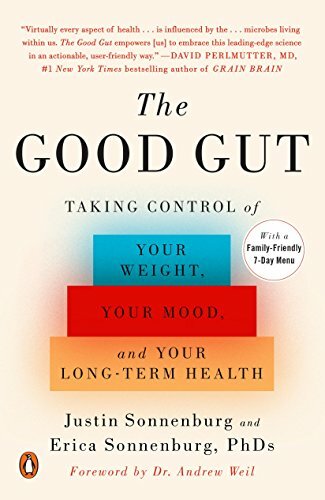 If you are interested in learning about the gut microbiome, this book is a great place to start. I think the Sonnenburg's do a wonderful job of summarizing the research, pointing out where it is lacking, and providing information on future studies to look out for. Their tips for eating to feed your gut are handy, and I've tried a few of their recipes, which are lovely. Personally, I have implemented some of their ideas for keeping a healthy gut, and I have noticed a considerable difference in the way I feel. By Environmental Illness Network via Flickr. License. If you decide to start adding more fiber to your diet, I recommend starting slowly and gradually increasing your consumption. Adding too much too quickly could be rather uncomfortable and unpleasant for yourself and those around you (they mention this several times in the book).